3:30 pm: Everyone returns for ice cream! We expect each group to cover about 3-4 miles of road depending on the degree of need and the abilities of each group. In total we may cover 30 miles of road clean up in the afternoon. Teams of 4-5 will be sent with a pick-up truck with flashing lights on. High visibility clothing encouraged. 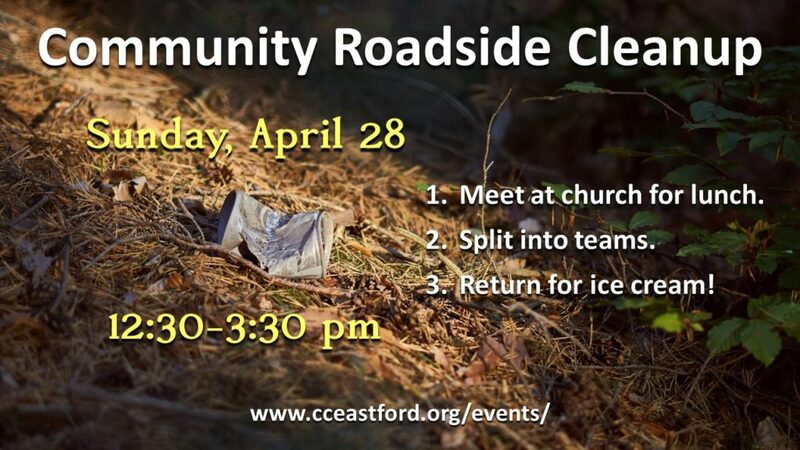 Gloves, poking sticks, and trash bags will be provided. Children should be accompanied by their parent or guardian and will be given less busy, safer roads. Collected trash brought to Eastford transfer station before it closes at 4pm.